MillerCoors’ craft division, Tenth and Blake, to purchase majority interest in Terrapin Beer Co.
(Athens, GA) Tenth and Blake Beer Company, the craft and import division of MillerCoors, announced today an agreement to acquire a majority interest in Athens, Georgia-based Terrapin Beer Company. Tenth and Blake had previously purchased a minority interest in Terrapin in early 2012. Terrapin founders Buckowski and John Cochran set out in 2002 to craft beers unlike any that were available in the Southeast at the time, choosing Athens as home base because of its distinctive culture and shared appreciation for music. The 84,000-square-foot brewery and 100-barrel brew house creates year-round and seasonal beers including Hopsecutioner, HI-5, RecreationAle, and Rye Pale Ale. Terrapin Beer Company will operate as a business unit of Tenth and Blake. Terrapin’s management and team will continue to create, brew, package, ship and sell Terrapin’s acclaimed portfolio of brands. Terrapin Beer Company joins other leading crafts in the Tenth and Blake portfolio, including Blue Moon Brewing Company, Jacob Leinenkugel Brewing Company and Saint Archer Brewing Company. For more information on Terrapin Beer Company and its portfolio of brands, visit TerrapinBeer.com. The transaction is expected to complete in August 2016. The terms of the transaction were not disclosed. First Beverage Group acted as financial advisor to Terrapin, and Spencer Fane LLP provided legal counsel. King & Spalding LLP provided legal counsel to MillerCoors. 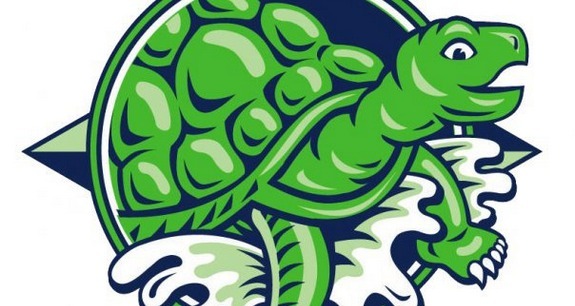 Terrapin Beer Co. began as a day dream between founders John Cochran and Spike Buckowski, who brewed and released their first beer, Rye Pale Ale, in 2002. Six months after its release, the beer made it to Denver for GABF, where John and Spike took home a Gold Medal for Rye Pale Ale in the American Pale Ale Category. Inspired by the creative culture of Athens, Terrapin began and continues to add to its beer lineup, with unique beers like Hopsecutioner, HI-5, W-n-B and many others. Today, Rye Pale Ale is accompanied by six other year-round beers, four seasonal sessions, and at least a dozen special projects, side projects and collaborations. The company and its 120+ employees continue to live by the Terrapin Mission Statement: "to create unique experiences through the passionate brewing of the finest quality craft beers”. Whether you’re joining us for a brewery tour at our tasting room, drinking a Hopsecutioner at your favorite watering hole, sipping some Hi-5 on your back porch, or enjoying a RecreationAle after a long day on the trail, we hope you appreciate the dedication we’ve put in for 14 years and counting. Tenth and Blake is the craft and import division of MillerCoors. The Tenth and Blake family includes Blue Moon Brewing Co. at the SandLot and River North in Denver; Jacob Leinenkugel Brewing Co. in Chippewa Falls, Wis.; 10th Street Brewery in Milwaukee; AC Golden in Golden, Colo.; Birra Peroni in Rome; Plzenský Prazdroj (Pilsner Urquell) in Pilsen, Czech Republic; and Saint Archer Brewing Company in San Diego, CA. You can find out more at www.Facebook.com/TenthAndBlake. Proudly serving our community since 1935, Gulf Distributing Company of Mobile, L.L.C. is one of the oldest beverage distributors in the southeast.